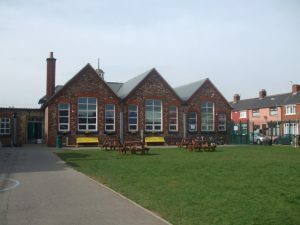 Harewood Primary School offers every child the chance to achieve their full potential. We achieve high standards and give our children the foundations for future learning and success in life. We offer children a rich and exciting curriculum underpinned by effective teaching and learning across all subjects. We respect every child as an individual. We value the contribution we make as members of a British community, we value tolerance, respect and the need to support and care for each other. We build children’s confidence and self esteem to prepare them for the future. Good relationships, a challenge in learning and support for parents are at the heart of our school. To encourage a sense of pride in our school, our region and our country. We want to ensure that our children are happy, interested and confident enough to become life long learners. This is an outstanding school which ensures that pupils from all cultural and social backgrounds achieve highly as a result of a stimulating curriculum, exceptional teaching and outstanding care. Achievement, Teaching and Learning, Behaviour and Leadership and Management were all judged to be outstanding. A paper copy of information on our website is available free of charge.